If you plan to camp in Many Glacier campground inside Glacier National Park this Fourth of July, you won’t be able to do it in a tent. 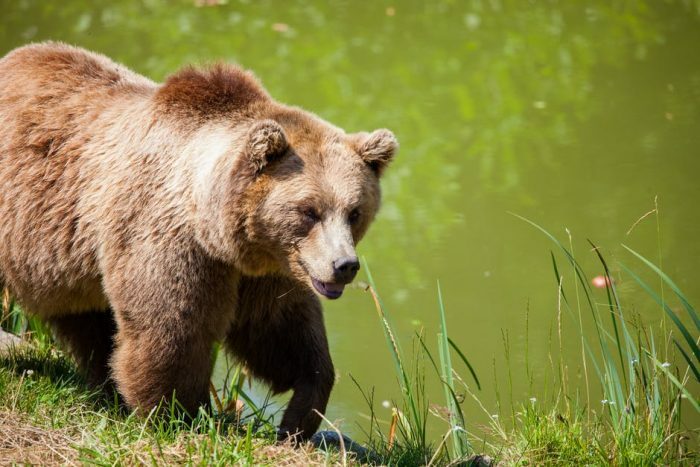 According to the Hungry Horse News, park officials are requiring hard-sided campers in the grounds after a food-conditioned 150-pound grizzly bear entered a campground and caused two campers to move away as the bear climbed onto the picnic table and ate trout the campers were cleaning. The bear seemed unphased as it dug into a fire pit, sniffed a tent, and an RV with people inside. The bear meets the qualifications of a food-conditioned bear, which means it will likely be euthanized or put in a zoo if caught.